The popper made it out to the Chain on Saturday to help MuskyBaits test a few new lures he made for the boat. The bait style has been proven throughout the year to be effective for chasing gamefish. 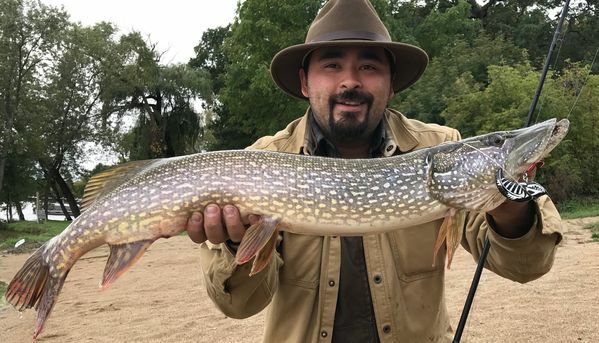 The popper spent about 15 minutes throwing baits on Saturday, and was able to land this pike on the 6th cast with the newly finished bait. Way to go! That's a good looking pike. Chitown-Angler was started on February 10, 2003 and has received 207550041 page views in total since that date.